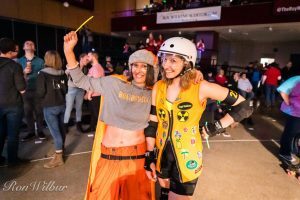 Some people are already fans, some people have never heard of it, and some people have a very outdated idea of what they remember roller derby to be. 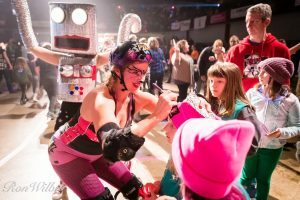 Today, roller derby is a legitimate sport with only a vague resemblance to the rigged, wrestle-mania-like show it once was. 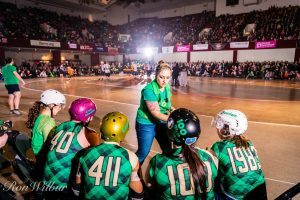 Roller derby holds a physicality similar to hockey, but is played on quad roller skates. The sport is played on a flat-track, and the outcomes are never planned. 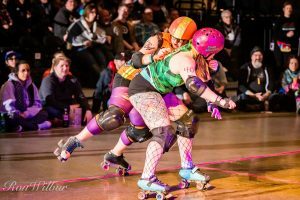 There are upwards of 20 derby leagues in Minnesota alone, but did you know that there are THREE local adult roller derby leagues here in the Twin Cities?? Take a look for yourself! All three leagues offer the same great sport played in a variety of venues. Audience sizes range from a couple dozen to a few thousand. The night is full of fun and entertainment for the entire family! 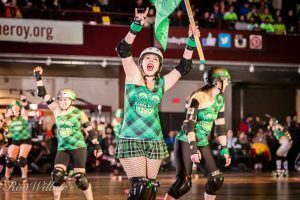 Come down to the track and dance along to the half-time band, have a cocktail at the full bar, sit in your favorite team’s cheering section, get special visits from your favorite skaters, and get your hair/beard glittered in the lobby: all for the same price as a movie ticket! 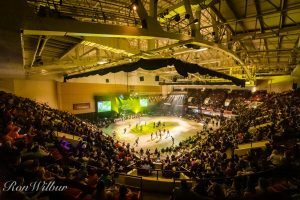 The only way to truly understand what roller derby is about is to come to a game and experience it for yourself. So pick a Saturday night and come out to see one of the Twin Cities’ best kept secrets! It’s the perfect evening event to experience something new and have some fun.